Modern lives are more stressful than they used to be. Stress can lead to many serious health issues so managing it is important. Left un-managed, stress can lead to high blood pressure, heart problems, a weakened immune system, gastrointestinal issues, depression and more. Homeopathic remedies can help you manage stress as long as you know which remedy will work best for your type of stress. When choosing the right homeopathic remedy, it is very important to recognize your feelings and emotions to narrow down the correct treatment. Your emotions will vary based you the particular thing that is stressing you. Something that may be stressful for you may not be stressful for someone else, which is why there are so many different remedies to choose from. Check out a few examples of homeopathic remedies and the symptoms they treat. 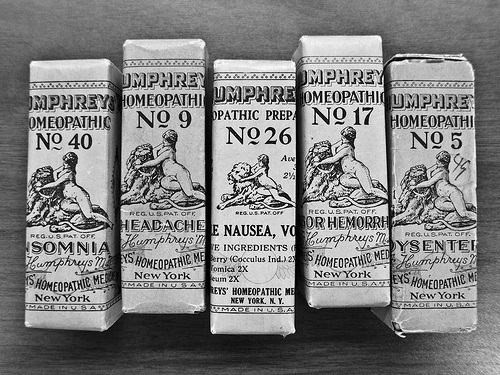 All homeopathic remedies are harmless; it isn’t possible to overdose on them. However, to quickly find the remedy that works best for you, its wise to consult an experienced homeopathic practitioner. Aconitum Nap is recommended for emotional stress, fear and anxiety. If you feel claustrophobic in large groups or anxious before an interview or test, this remedy may help you. Other symptoms helped by Aconitum Nap include sensitivity to pain, thirst, headache, panic and not wanting to be touched. Arsenicum Album helps in cases of stress caused by fear, guilt, worry or resentment. You may feel more anxious or fearful when you are alone. Other symptoms treated include feeling restless, mistrusting, insecure, critical, weak, exhausted and depressed. Aurum Met is useful in cases of depression with thoughts of suicide. It helps emotional stress related to failure, guilt, betrayal and loneliness. Please note: If you feel depressed and have thoughts of suicide, you should seek professional help immediately. Ignatia is useful in cases of stress caused by reprimand, loss, shame, disappointment, humiliation and emotional upset. Other symptoms treated include the desire to be alone, crying easily and not wanting to be consoled. You may feel sensitive and moody. Phosphoricum acidum helps when stress makes it difficult to concentrate. You may feel depressed, weak and forgetful. These symptoms may be due to working too hard, problems in a relationship or grief. Silica is useful for stress caused by a lack of confidence, even when you are perfectly capable of doing the task at hand. You may worry and overreact to things. You may also seem oversensitive and become exhausted easily. You can begin with taking two 6x potency tables every two to four hours. As your symptoms improve, you can reduce the frequency of the remedy. Allow the tablets to dissolve in your mouth and do not drink or eat anything for at least 15 minutes following each dose. There may be other remedies that will work better for you. Consult an experienced homeopathic practitioner for advice on treating your stress with homeopathic medicine.